Conveniently located in the Creekside Park Village Center, this location is convenient to Creekside Park, Spring, and other neighborhoods near the southern parts of the Woodlands. For our friends in other parts of town, our other locations are strategically located so you're never more than a few minutes away from a hot, delicious Crust Pizza. 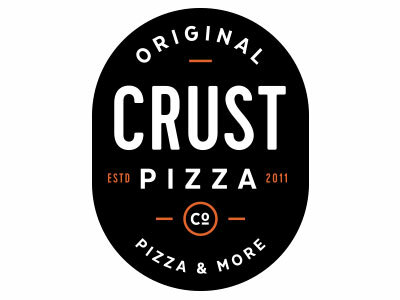 Crust Pizza Co. is a locally owned and operated, independent pizzeria with four locations that originated in the heart of The Woodlands, TX. Here at Crust Pizza, we strive to ensure your complete satisfaction. Our pizza dough is made from scratch in-house daily, hand tossed and rolled to produce a light, thin, crispy crust. The veggies are cut fresh daily and we always use the highest quality meats and cheeses on every pie. Not in the mood for pizza? You're in luck because we serve a wide array of salads, pastas, and hot subs form which to choose. At Crust, we care about family and the community. We are here because of you, our customer; so, please tell your favorite charity, school, or organization to give us a call, so we can partner together for a fund-raiser. Thanks for supporting Crust Pizza Company! We realize that there are times when everyone in your group won't be in the mood for pizza. That's why we offer a variety of fresh salads, delicious hot pastas and our signature hot subs. We also make wonderful calzones, hot from our pizza oven. Do you enjoy an adult beverage with your meal? We offer a selection of well-priced wines and beers. We change the list seasonally, reflecting the best choices available. Do you enjoy dining al fresco? Our shaded patio is the perfect spot to enjoy your lunch or dinner in a peaceful, wooded setting. Misters keep it cool in the summer, and heaters take away the chill in the winter. SPECIALS: Lunch Monday-Friday 11:00 a.m. - 3:00 p.m. Personal 8" Pizza with up to 3 toppings, Pasta, or Hot sub with a side salad, or garlic cheese bread. All for just $7.99!! !